I've got some new skincare items in my routine. They came just in time as the weather is changing and I've been doing a lot of Halloween Makeup tutorials lately. 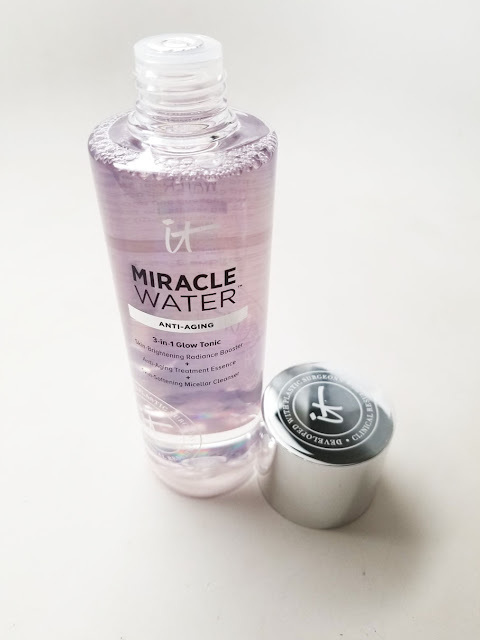 If you're into the whole Micellar water trend and love a good moisturizer, check it out! 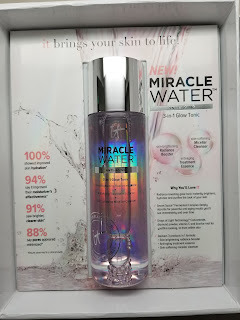 I've tried a couple different brands of micellar water before, but this is definitely my favorite. 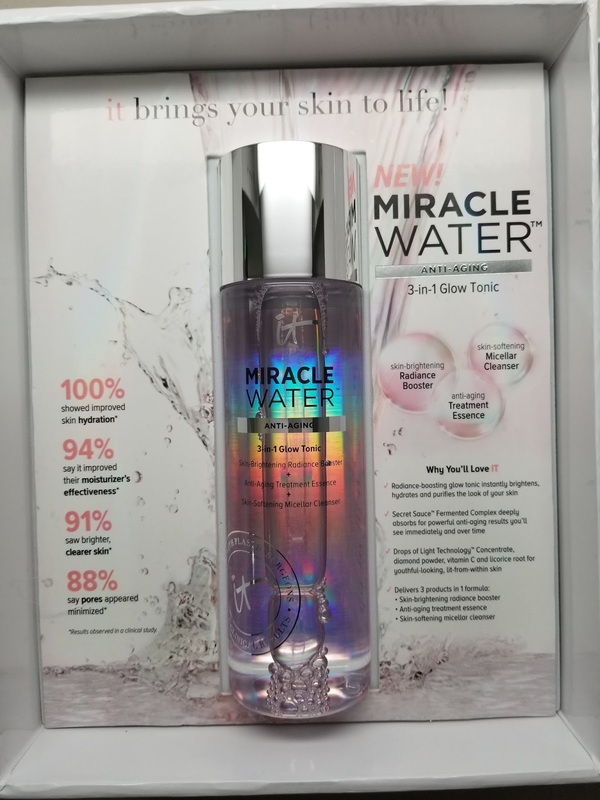 IT Cosmetics Miracle Water is described as a 3 in 1 glow tonic. It contains a skin radiance booster, anti-aging treatment as well as a micellar cleanser. You can use it to clean your skin or after cleansing to get any remaining traces of dirt and to treat the skin. I actually used two cotton pads to remove an entire face of Halloween makeup with this product, amazing! My skin didn't feel greasy either, just clean and soft. 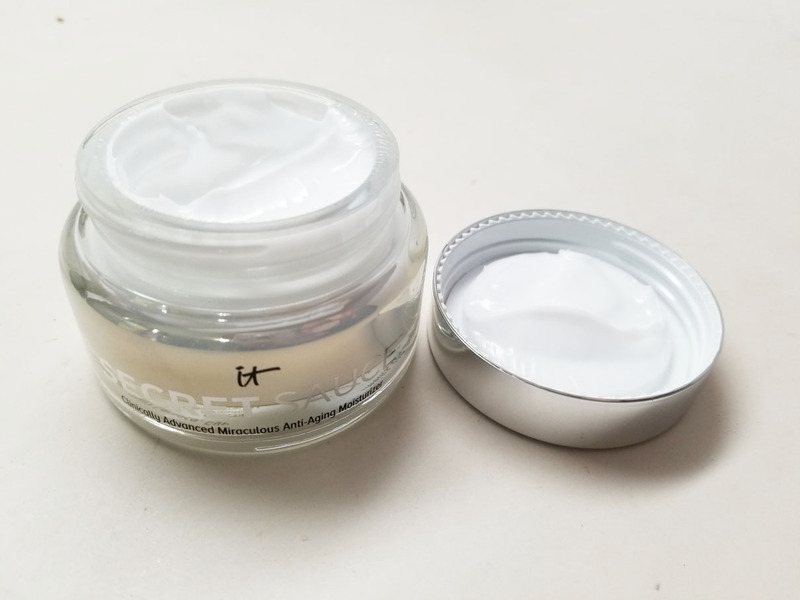 I also got to try out IT Cosmetics Secret Sauce. I love the name. This is described as a clinically advanced anti-aging moisturizer. I'm in my 30s and trying to slow down the aging process and maintain. This moisturizer does feel very hydrating and sinks right into the skin. It contains some amazing ingredients like hyaluronic acid and collagen and light technology to treat fine lines and let you glow. I just ran out of my moisturizer so this came right in time. Especially as it cools down in Fall, this is exactly what my skin needs. It's pricey at $68 but I'm all about investing in your skin. You can find these products at www.itcosmetics.com or Ulta.